What’s next for Veep? Recently, star Julia Louis-Dreyfus shared a new poster for season six of the HBO TV series. 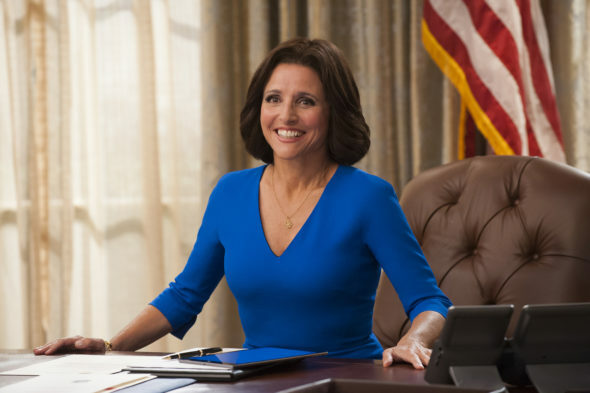 The political comedy stars Louis-Dreyfus as Selina Meyer, a former Vice President and President of the United States. The cast also includes Tony Hale, Anna Chlumsky, Reid Scott, Matt Walsh, Timothy C. Simons, and Sufe Bradshaw. On Twitter, Louis-Dreyfus shared the new season six poster, which carries the tagline “Making history whether you like it or not”. The new season debuts on HBO on April 16th. What do you think? Do you watch Veep? Are you excited for the new season? More about: HBO TV shows: canceled or renewed?, Veep, Veep: canceled or renewed?